pick-up coils. The electrical resistance of one of the electromagnetic coils provides temperature data, in which case the gauges are delivered with a 5-conductor cable. 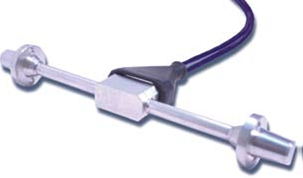 A 4-conductor cable is used when temperature measurements are not required. 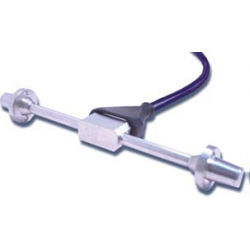 Unless specifi ed, gauges are factory-set at mid-range, al lowing one half of the range for measurement of tensile strain, and the other half for compressive strain.